I have been busy sewing for the holidays, as well as busy with appointments. Watercolor has fallen to the wayside – but not forgotten! Today, before I head out for a sewing class, I decided I wanted to work on white space, such as highlights, without using frisket. 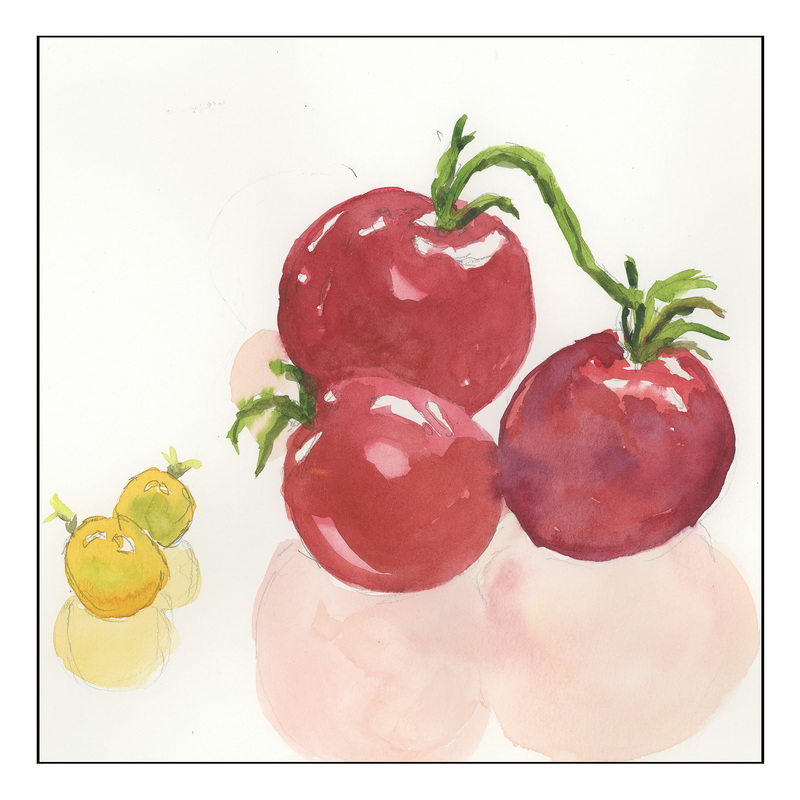 I took some tomatoes, set them on my desk (which has an acrylic protective surface), and painted. Here ya go! Reds are actually a challenge as there are subtleties between the different areas. The same with the yellows of the cherry tomatoes. 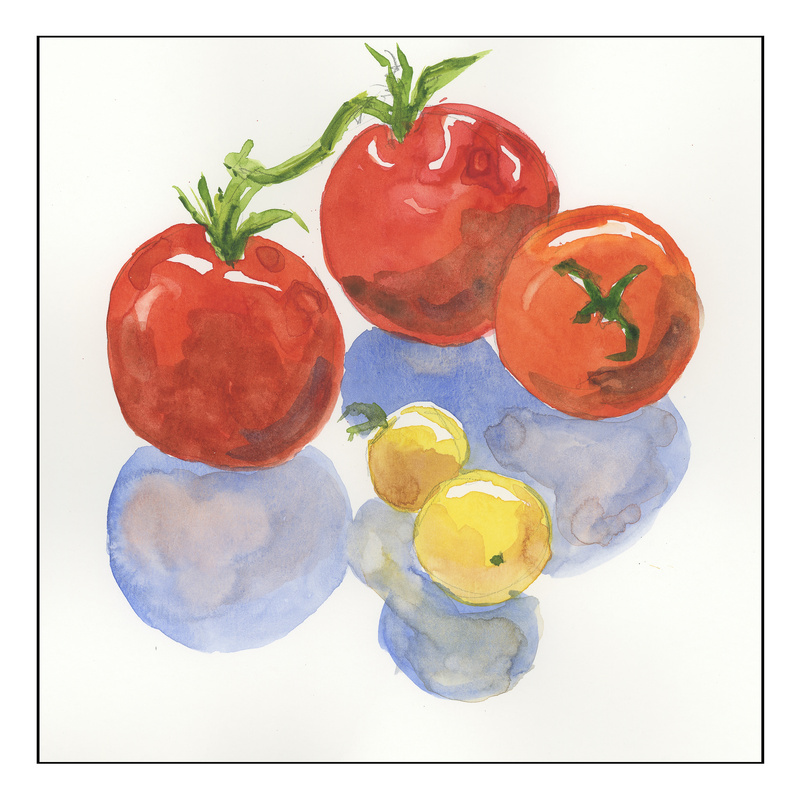 I decided to use the complimentary colors to create the shadows within the tomatoes themselves, but used blue for cast shadows in one, and tried to imitate the reflective cast shadows in the other painting, trying to replicate the tomatoes on the shiny acrylic surface.